Asgari safdar, A., Daghigh Kia, H., Moghaddam, G., Khani, A., Alijani, S. (2013). Reproductive Performance and Blood Metabolites Concentration in Iranian Afshari Ewes Fed Calcium Salts of Fatty Acids (CSFA) in Flushing Period. International Journal of Advanced Biological and Biomedical Research, 1(6), 669-676. Amir Hussein Asgari safdar; Hussein Daghigh Kia; Gholamali Moghaddam; Ali Hussein Khani; Sadegh Alijani. "Reproductive Performance and Blood Metabolites Concentration in Iranian Afshari Ewes Fed Calcium Salts of Fatty Acids (CSFA) in Flushing Period". 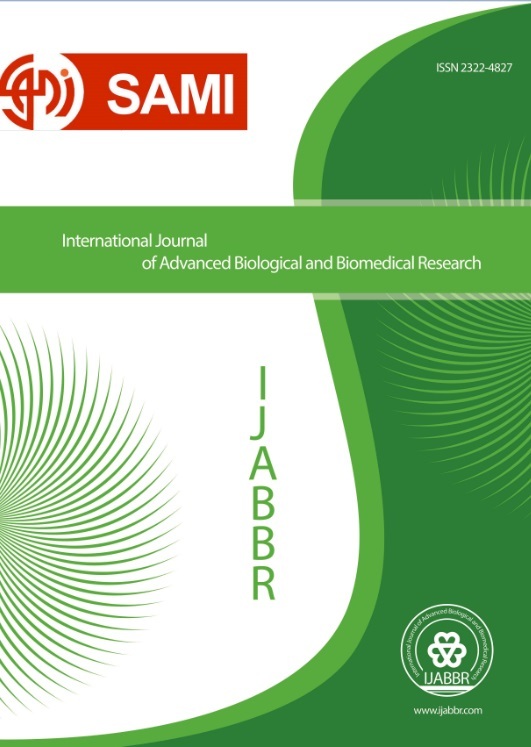 International Journal of Advanced Biological and Biomedical Research, 1, 6, 2013, 669-676. Asgari safdar, A., Daghigh Kia, H., Moghaddam, G., Khani, A., Alijani, S. (2013). 'Reproductive Performance and Blood Metabolites Concentration in Iranian Afshari Ewes Fed Calcium Salts of Fatty Acids (CSFA) in Flushing Period', International Journal of Advanced Biological and Biomedical Research, 1(6), pp. 669-676. Asgari safdar, A., Daghigh Kia, H., Moghaddam, G., Khani, A., Alijani, S. Reproductive Performance and Blood Metabolites Concentration in Iranian Afshari Ewes Fed Calcium Salts of Fatty Acids (CSFA) in Flushing Period. International Journal of Advanced Biological and Biomedical Research, 2013; 1(6): 669-676.